It’s been almost a full year since I’ve posted an “Essentials Guide” And it is long over due! Also, I’ve noticed my Instagram has shifted to almost completely being food based with rare appearances of products, reviews, workouts and inspirational quotes. Well this was not on purpose and I am hoping you like this shift in direction of my Instagram…You’ll notice my twitter has stayed fairly diverse. So, if you like a little bit of change -follow me on twitter. This essential guide is a little larger then most of my posts so I’ve decided to split it into a few parts. 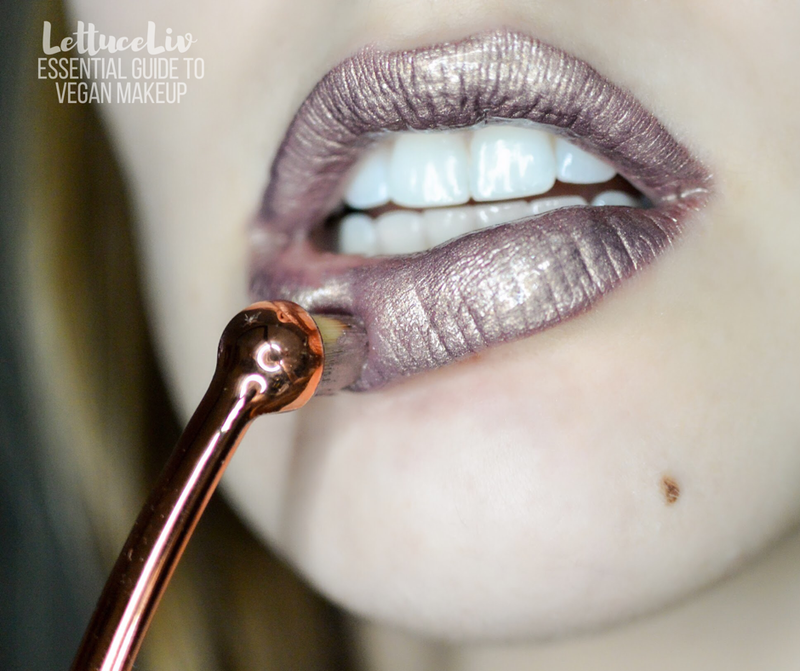 This is the LettuceLiv Essential Guide to Vegan Makeup! Let me begin with a disclaimer! None of these products that I am showing you in this post were free. I paid for them myself! I was able to find them at Sephora, Target, Walmart and online shopping…My point is to say that you can find cruelty free and vegan makeup everywhere. So, there are just no excuses for someone to buy, or promote non cruelty-free and vegan brands. The next point I want to make, I am not a makeup artist, I am a makeup enthusiast. I have had no training in the field of makeup artistry, except for in high school when I worked as a makeup artist for my high school theater productions (I don’t know if that can actually be considered as “real” training) where I would do it for extra credit…Let’s just say Macbeth had a killer contour back in the day! My love for makeup has always stemmed from my creativity. I used to draw on my hands, face, arms you name it! In university, studying Fine Arts, I was enthralled with the beauty of the face- where I studied it in portrait paintings, and photography as well as with other great practices. All this to say, I LOVE MAKEUP! Back in the day, I even had a portfolio with my makeup creations on Deviantart.com… I don’t remember the username, password or even email address I used, so web crawlers if you can let me know if it is still out there I’d love to see those looks I made! Here we go with this essential guide. 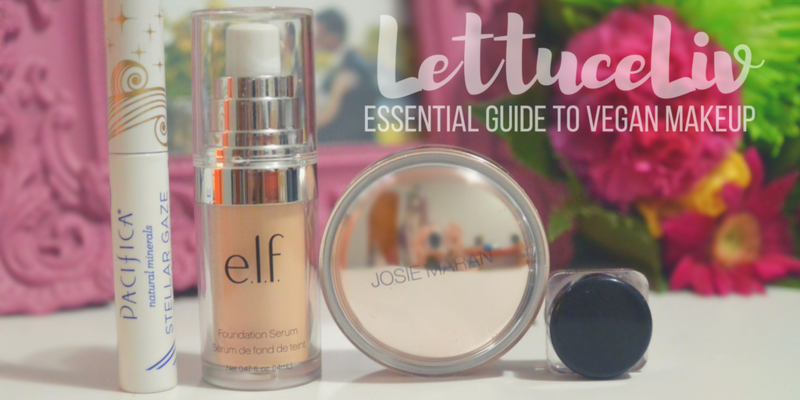 LettuceLiv Essential Guide to Vegan Makeup! I will start with the SKIN our biggest organ! I wear primer. With or without makeup. 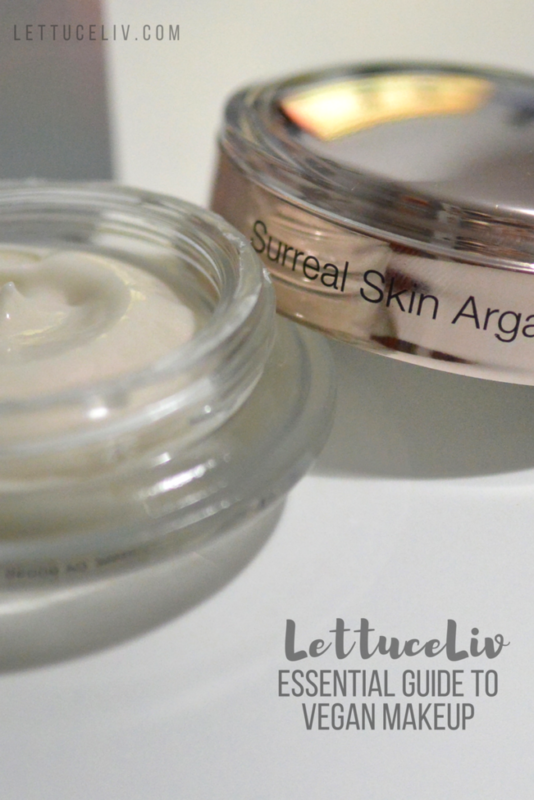 The one that I am in love with is Josie Maran Surreal skin Argan Finishing Balm. Not all of Josie Maran’s products are vegan but her packaging is very well labelled and each vegan item are clearly indicated on the box. The packaging shows the product is made with organic Argan oil, all natural ingredients, paraben free, no synthetic fragrances, it’s cruelty free, gluten free and of course vegan. 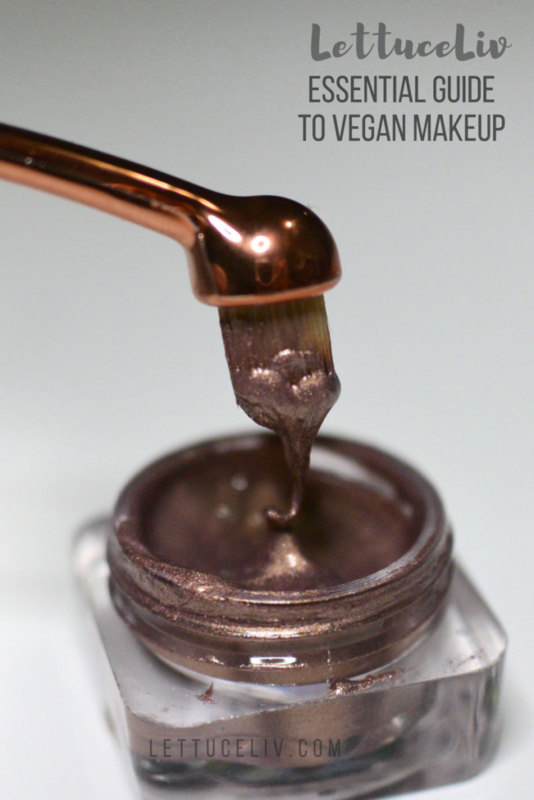 Opening the box, you are greeted with a beautiful rose gold lid and glass container….SO FREAKEN CUTE! I am a sucker for branding. On the actual box, it says you can wear this product over your makeup as a finishing balm… I’ll admit I have never tried it because honestly the thought of smearing cream over your makeup once you’ve meticulously applied it seems a little risky. The actual product inside is the most luxurious face balm/ primer you will ever encounter. It is non-greasy and very light weight. It isn’t shiny but when worn alone gives a beautiful dewy fresh face look. The balm has tiny little iridescent pigment that does not come across as sparkly or glittery on the face. Instead it gives a great plump and youthful glow that can be worn alone or as a base for your complete makeup look. For a great affordable foundation, I purchased it at Walmart for 7.97$ is the e.l.f. beautifully bare foundation serum. This foundation is great for everyday use because it is lightweight and is a great veil to mask tiny imperfections. The packaging is not very exciting and isn’t worth writing about in the same length as my holy grail of primers. The bottle however is better made then the box it’s a good simple bottle that looks great when photographed to post online! I have a plethora of mascaras and it was hard to choose just one to speak of today. 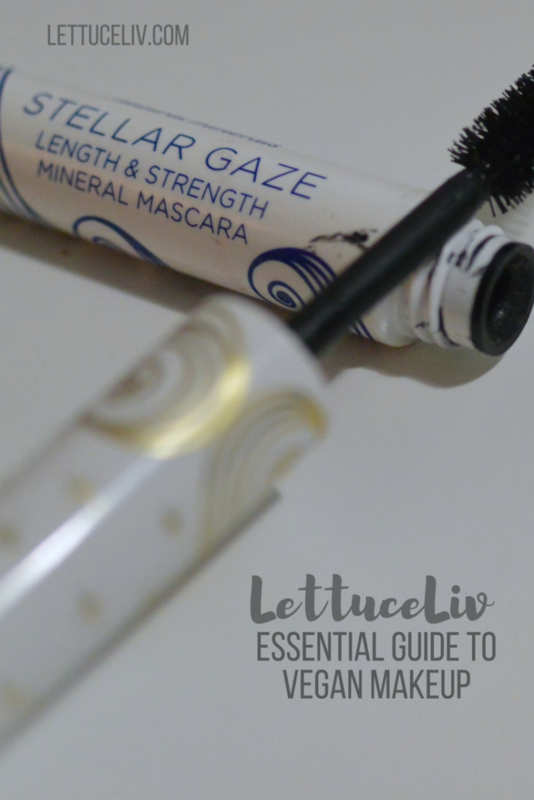 I decided on Pacifica Stellar Gaze Length & Strength Mineral Mascara. The colour I use is Supernova (Black) and it’s a very crisp black. The packaging is really cute. It gives me that Van Gogh Starry Night vibe with the swirls and starts on both the box and the mascara tube. This mascara is infused with coconut oil and vitamin B to help lengthen, hydrate and volume and strengthen. This mascara is light weight and does not clump is actually amazing to build up your lash. It goes on incredibly smooth! The brush head on the wand is a nice full fluffy brush that really helps spread the lashes apart. I do have naturally long lashes and barely ever wear false lashes (the last time I kept them on was for my brother’s wedding in July of 2015) so when I go out and want that extra oomph I use this mascara as a base to help give that extra wow factor for my lashes. When I discovered this brand on Instagram, I literally told everyone I know about it. I am mesmerized by the videos and with the colors and the texture of this lipsticks. When I made my online order later that month all my friends wanted to get them also! The awesome brand is Who Is She Cosmetics. They recently changed the packaging size from 5 grams to 10 grams. They are very simple little jars that stack well and keep without cluttering up your makeup table. The indie vegan and cruelty free brand is impressive, because the lipstick mixtures which are called Lip Composites are actually hybrids of lip gloss and lipstick, with magical all day staying power and deep lip hydration. I don’t know how they do it but this little pot of lipstick fairy magic is a MUST HAVE! I have purchased too many of these to count but right now I’ve been obsessing over the color London. 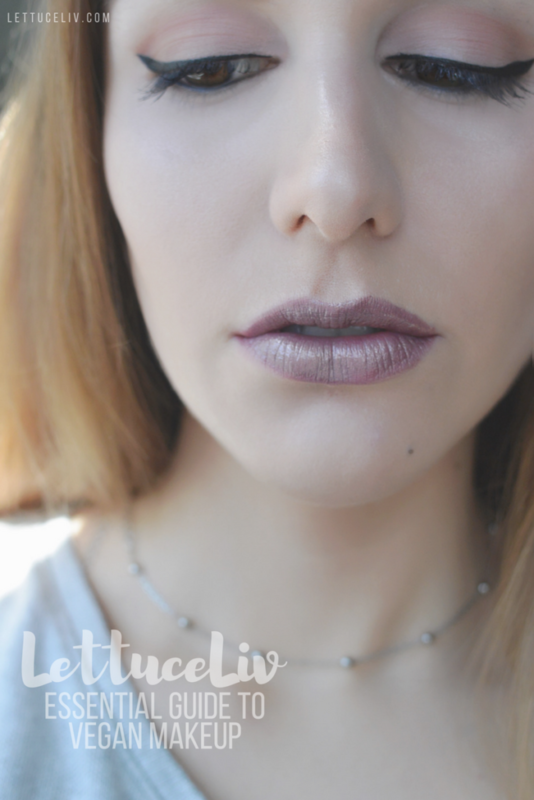 London is a soft metallic lilac and can be built up or played down, both ways this lip composite is amazing. The only way to explain it is to watch the video of Instagramers applying it. It is just so luxurious. 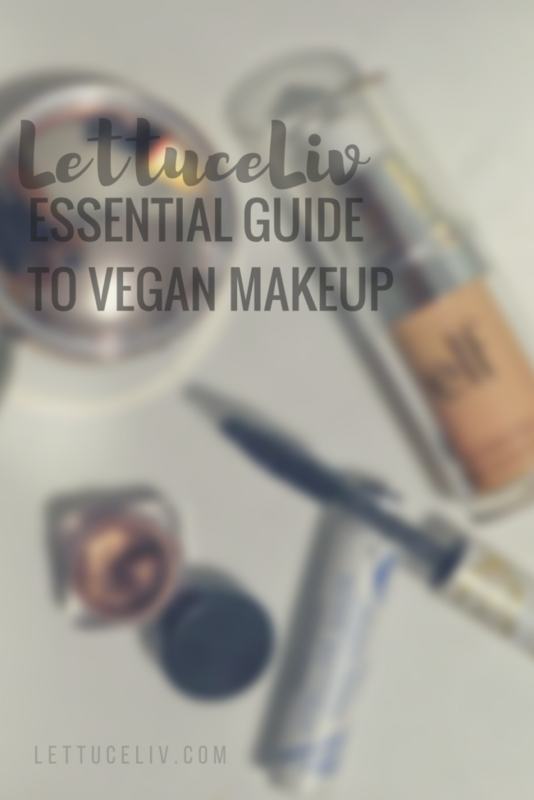 This little essential guide; LettuceLiv Essential Guide to Vegan Makeup was written so that awesome people can be aware that it’s super easy to use and wear vegan and cruelty-free makeup! Please comment which brands you like and which products you use. I am always looking for new brands to share and discover. If you are happy with this post, please feel free to share it with friends and family through your various social media accounts. I am happy to have discovered some new cruelty free brands! At the beginning of the year I made it my mission to fully convert to only using cruelty free makeup brands! that pacifica mascara is the best 🙂 now I want to try those lip pots out! I think I’m going to try that lip composites. I’m using Kat Von D which I love but I want something more moisturizing. Love this! #1 your skin is flawless! I wish I could get my skin to look as nice but I can’t seem to shrink my pores no matter how many masks I try. #2 I’m obsessed with the Josie Maran argan oil, I use it as a moisturizing oil every night! Now, I need to pick up the primer, it looks so amazing! Aw thank you for the compliment! I also love the Josie Maran argan oil it’s so great! I use it with my cream contour kit so that it buffs in smoothly and hydrates so makeup doesn’t look thick! I cant wait to try the e.l.f. foundation serum! Especially after your review! And I never realized it was vegan – love that brand! I love Elf and Pacifica products. I use the Elf face wash and Pacifica lipstick. Have you tried Coverfx? I use their foundation and their products are vegan too. Hey! Yes I LOVE coverFX I actually use their own little vitamin boosting drops to add into my foundation! 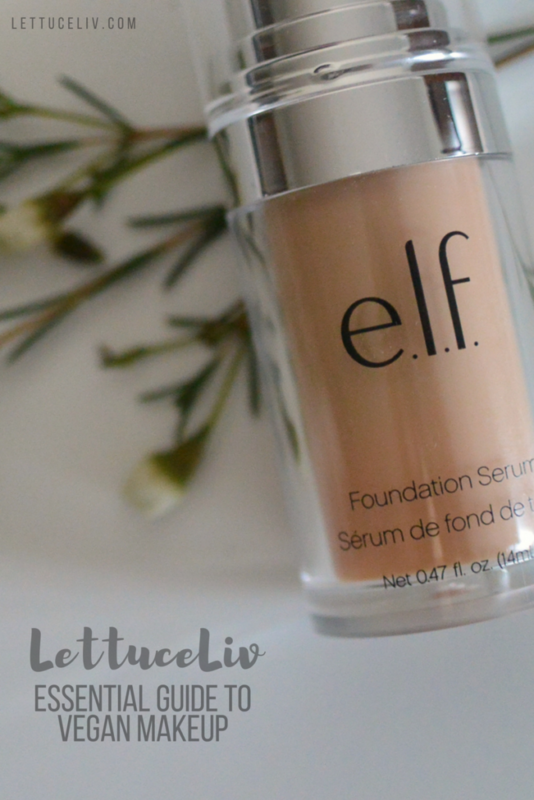 I have always wanted to try e.l.f foundation! Definitely gonna check these products out!! Makeup is fun right! I am actually really interesting in trying out that mascara due to the fact that it contains coconut oil which I am a huge fan of. The oil really does moisten hairs well. Awesome selection of cruelty free makeup! The lip stain is amazing!! I love the metallic, so out of this world. Looking it up now! Fantastic selection of cruelty-free makeup! Wow!! 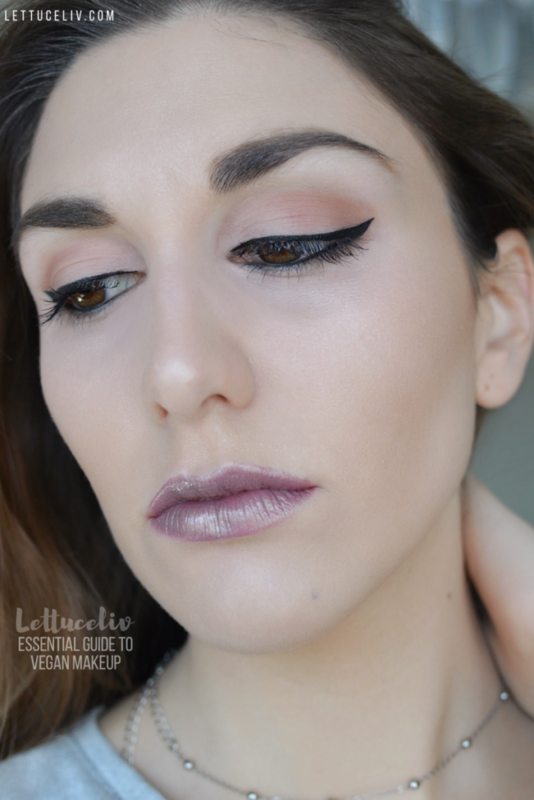 who knew you could have awesome makeup which is also cruelty free! And the makeup looks beautiful, definitely going to put some of these items on my next shopping list. Hello, I just read your post and I really enjoyed it! I love your makeup, it looks flawless and the fact that it is cruetly-free makes it even more beautiful. I am definitely interested in trying the Pacifica mascara. Also, I had no idea that I can find cruelty-free/vegan products at Walmart! Thank you for this information 😊 Worth reading!!! That lipstick looks amazing!!! I’ve never heard of that brand before, but I will definitely check them out. Love Elf makeup! Had no idea they were vegan!